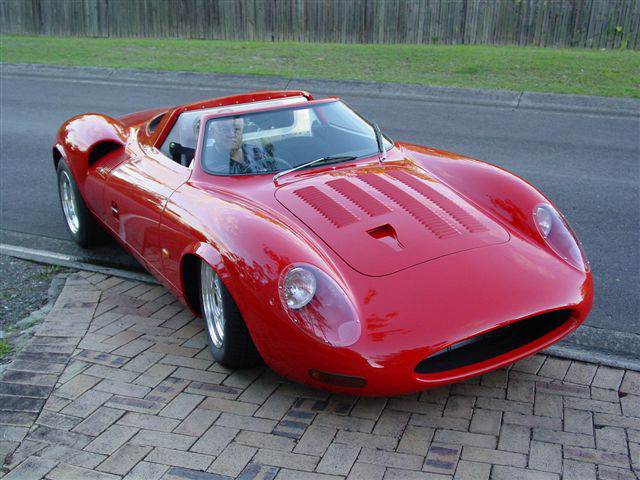 Possibly the rarest Jaguar, the XJ13 was designed to win the 24-hour race at Le Mans. Powered by a 12-cylinder, dual overhead cam engine, mounted in the rear, with modern brakes and a heightened awareness of aerodynamics, it was well-prepared for an assault at LeSarthe. Penned by renowned aerodynamicist Malcom Sayer (who was also responsible for the Jaguar C-Type, the D-Type and the iconic E-Type), the XJ13 was the product of extensive experience with the design and manufacturing of aircraft during and after the war. With a then little-known David Hobbs driving, the prototype set an unofficial UK closed circuit lap record that stood for 32 years. But with another driver, and worn tires, that only prototype crashed heavily at the MIRA test track in early 1971, and was virtually destroyed. 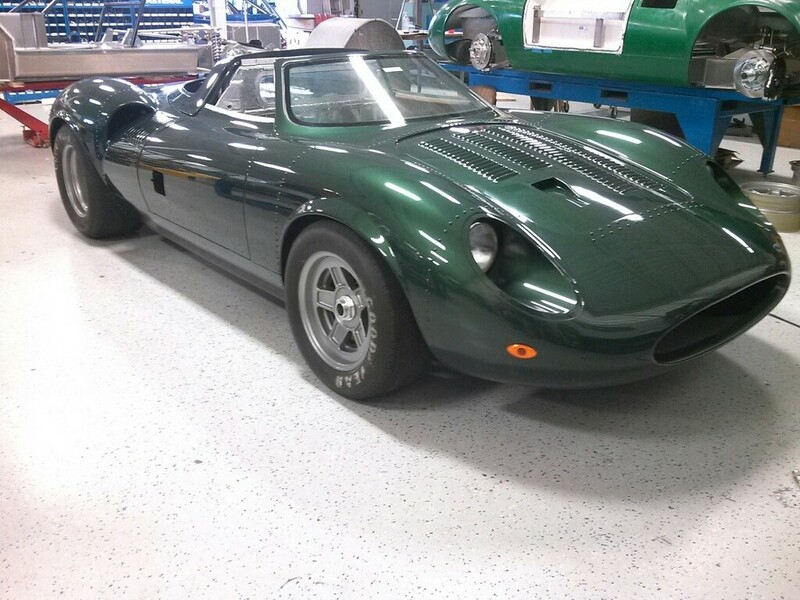 Transported back to the Jaguar factory, it sat, unloved, and forgotten, for years. 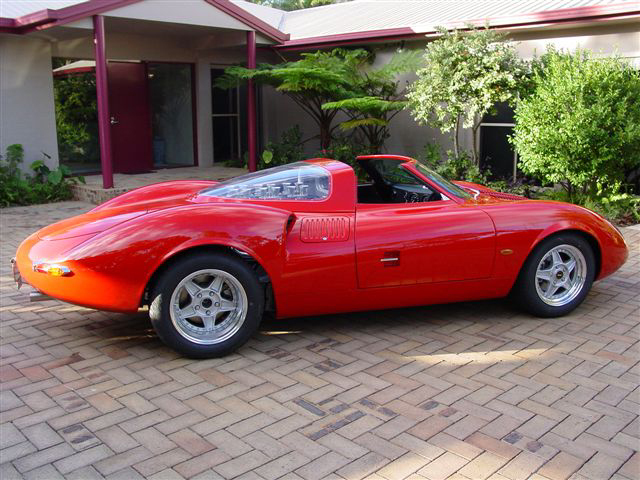 The original prototype was eventually restored, but never raced. It is valued at over $7 million. Now, however, the incredible lines, superb handling and DOHC V12 power can be obtained on a journeyman's salary, with the XJ13 from RCR. 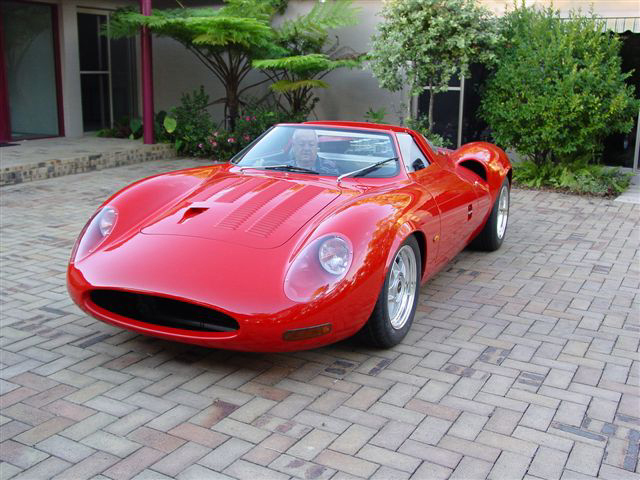 Updated with a fiberglass body (that can be obtained with "rivets" to make it look the original aluminum body), and riding on the signature RCR all-aluminum monocoque chassis and suspension with modern brakes, the XJ13 can even be fitted with a Jaguar V12 engine for the ultimate in originality. Like all RCR cars, it can be ordered in any standard gelcoat color, and is available with several different wheel patterns. 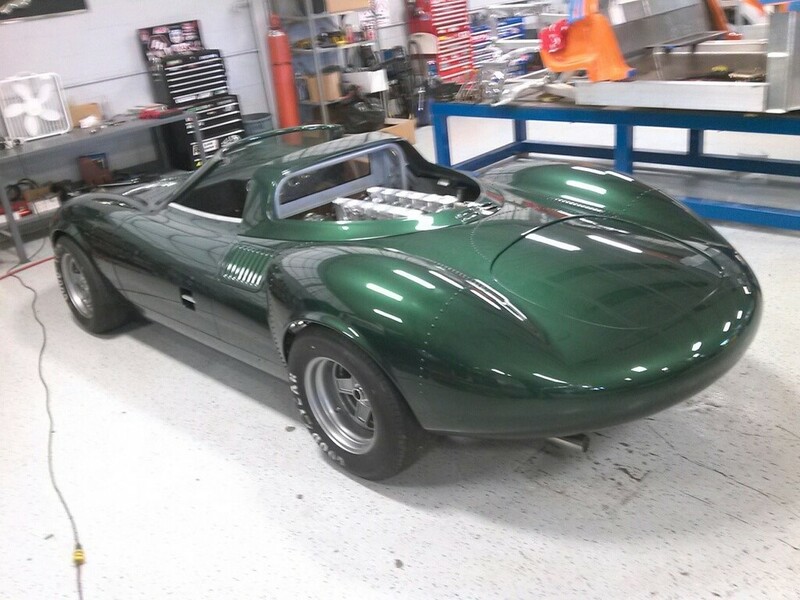 XJ13 cars in progress at the RCR Factory.